We will be presenting the Mala Meal Project at the monthly artists' potluck dinner in Hudson, NY Oct 16th at 6PM. These monthly pot;lucks are a wonderful opportunity for artists to meet, share a meal and their work. The Mala Meal will provide a unique structure for the dinner this month. 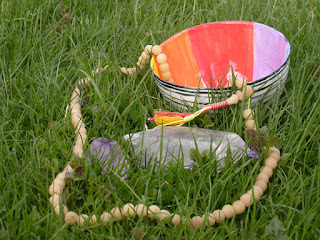 The Mala Meal Project is a ceremonial meal, symbolic and ephemeral. It occurs occasionally when the opportunity arises. This will be the 8th (or so) iteration of the meal. A mala is Hindi for rosary. The Mala Meal uses bowls, handmade in davistudio specifically for this event, as a metaphor for the beads in a mala. The meal itself is a metaphor for the prayers. Prayers are said on a mala and the beads help the supplicant keep track of those prayers. Traditionally there are 108 beads in mala. We say a symbolic prayer before the meal, an interfaith offering that suggests the desired universality of the event. The Mala Meal Project seeks to embody all that is good and right with the world, to help us focus our attention on that which is working. Peace, helping the hungry and poor are a couple of themes that have focused our meals in the past. This event is offered as a blessing for the community of artists forming in Hudson and the surrounding environs. Our monthly potlucks occur the third Friday of the month and are held at the 1st Presbyterian Church at 4th and Warren. All artists and their friends are welcome. Please bring something to share- food and/or art. A group of artists have been meeting monthly since January in the basement of a Presbyterian church in Hudson, NY. 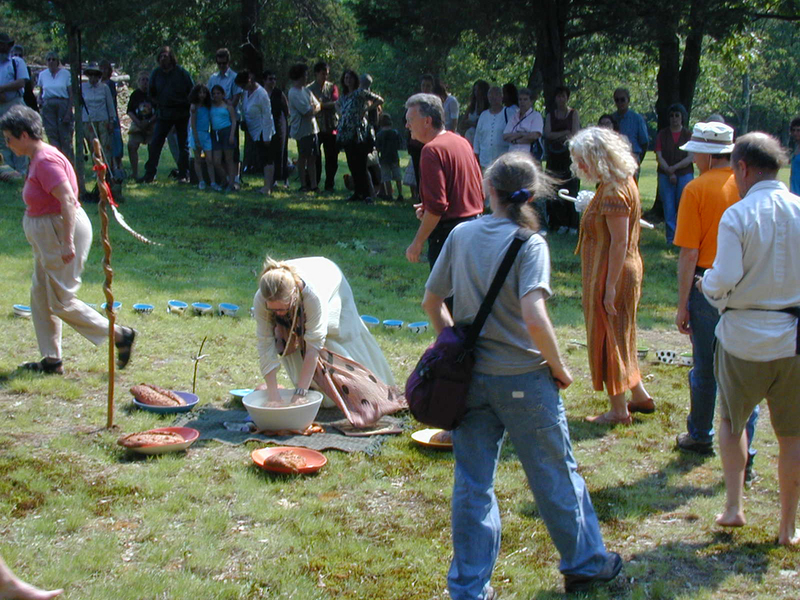 We bring food for potluck contributions and share work – some in the form of images projected on a screen, some in the form of musical performance, some poetry. Artwork of any kind is welcome and we are growing a sense of trust and community that will hopefully continue to establish a nurturing environment for artists in the Hudson Valley. I have the privilege to have been invited to share my Mala Meal Project with the group. It is a ceremonial meal that seeks to integrate spirituality with aesthetic experience, interfaith inclusion and a deeply local vibe. Other artists that will be presenting work include Jan Harrison, Stuart Framery, Arnie Zimmerman, Claudia McNulty, and Patricia Tinajero.